Tsessebe (Damaliscus lunatus). 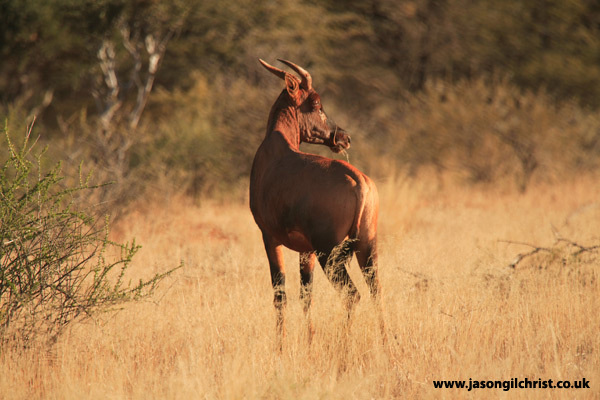 Apparently the fastest antelope in Africa! In east Africa, this species is known as the Topi.